The question of what’s better, mobile web or native app, has been debated ever since Apple released the original iPhone 1G. Initially, native apps were all the rage, in part because of the success of Apple’s App Store as well the slow speed of the mobile web (The original iPhone used EDGE technology). Mobile web hadn’t evolved yet to be able to provide the same fluid user experience as native apps. Today, marketers should be using both native apps and mobile web as part of their mobile marketing strategy. However, the two should not be seen as interchangeable. 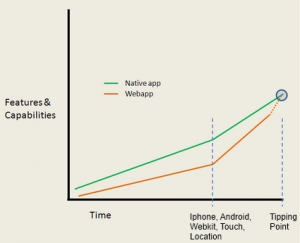 Mobile web has its uses and native app has its own place. The decision depends not just on how easy or difficult it is to develop a native app vs mobile web promotion, but on factors that ensure high performance throughout the customer value chain. These factors include your window of opportunity, desired user experience, value of dynamic performance, and the agility to maintain and update the application, or information it contains. To help with the decision, let’s look at the advantages and the disadvantages of each, and how this applies to your unique strategy for success. A Native App is an app developed for mobile devices, with a specific platform in mind. It’s downloaded and installed directly onto the device from the App Store, Google’s Play, etc. A Web App is an Internet-enabled app that is accessible via a mobile device’s web browser, and it’s a unique version of the website, resized to fit a mobile device screen. These do not need to be downloaded onto the user’s mobile device to be accessed. For many businesses today, the mobile web is a practical first step in their mobile promotion strategy. 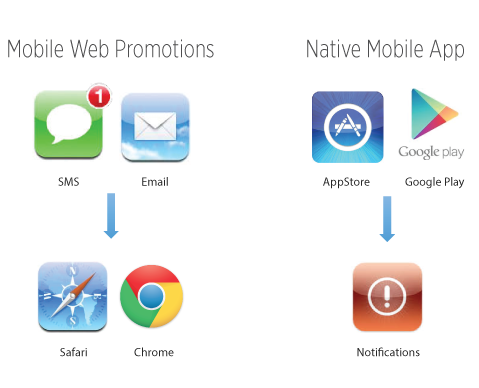 Mobile web promotions have a number of inherent advantages over native apps, including broader accessibility, compatibility and ability to add and remove content on the fly. This enables marketers to publish targeted mobile content without the need for app submission and approval. Despite some of the benefits of mobile web, native apps are very popular, and there are a number of specific use scenarios where a native app will be your best choice. Native apps provide access to distribution channels in Apple App store or Google Play and purchases are processed from user’s store account, which can speed the process of making transactions. Whichever you chose, native apps, or web apps are all excellent ways to deliver great content and interact on a personal level with the mobile device user. As listed above, each of these app delivery platforms have their strengths and weaknesses. The choice of one versus the other depends on your business’s unique needs. How important is speed and performance? Do you want your app to include any device-specific features? Do you want your app to be web-enabled and is that a requirement? Will it need to support multiple mobile platforms and devices — if so, how many? Each of these have their unique benefits. Which is most appropriate for you will vary based on your company’s specific requirements. An excellent starting point is to ask whether users are specifically completing a task, or accessing information. 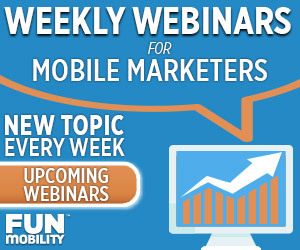 To help with your decision, please connect with one of our mobile web promotions experts at sales@funmobility.com.